This spatially defined exhibit has at its one end the town of Lakeville, located near the outlet of Consesus Lake, and a point less than ten miles distant where Consesus Creek flows into the Genesee River just downstream from the Glen Avon Mills site. Its historical significance derives largely from the meandering creek’s 250-foot drop in elevation over that distance, hinted at via a series of names: Triphammer Road, Papermill Road, Mill Road. 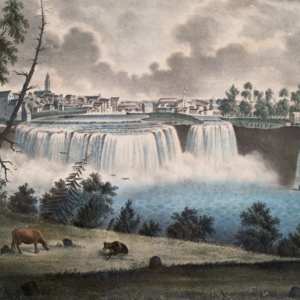 In this regard, many other communities in the Genesee Valley bear similar linguistic clues as to their early water-milling history—until the later 19th century, a primary source of mechanical work. The Wadsworths owned and managed more than 30,000 acres of farmland, but its productivity depended greatly upon the ability to add value to food (like turning wheat into flour) and then shipping it to markets beyond the Genesee Valley. 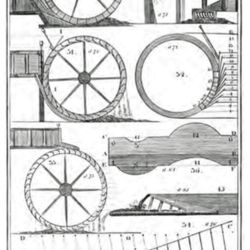 As such, the location of mills, canals, and railroads was important; Wadsworth investments in all three types of infrastructure testify to their importance. We begin by focusing upon that mill at the Glen Avon site and then expanding its significance through a series of linked exhibits.